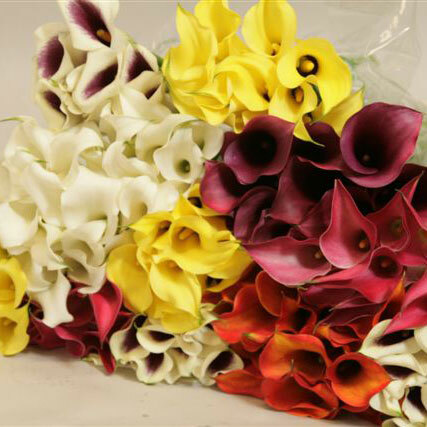 Freshly shipped from our farm twice a week, these wholesale mini Calla Lilies are available in over 20 colors, at lengths from 16 to 20 inches. Easy to work with and extremely versatile, these bulk flowers offer dramatic impact at excellent value. Click on individual products for further information.